Water finally flows down Junction Creek just before it enters the Animas River along the Animas River Trail. The creek was dry following last year’s drought, but now that’s water under the bridge as of late last week. You’re not the only residents ruffled by the lack of riffles. Conditions are rife for a raft of speculation. Are riparian resources being ripped off by riffraff and ruffians? When is a little alliteration too much? When will Action Line dam this darn stream of consciousness? It’s April Fool’s Day. Whadya expect? In any case, there’s an interesting explanation why a wet winter would result in a dry streambed. We’ll call it the disjunction of Junction Creek. But first, please note that it’s now water under the bridge. Prior to that, the stream was a sad channel of dirty arid rocks. Action Line checked with Colorado Division of Water Resources. 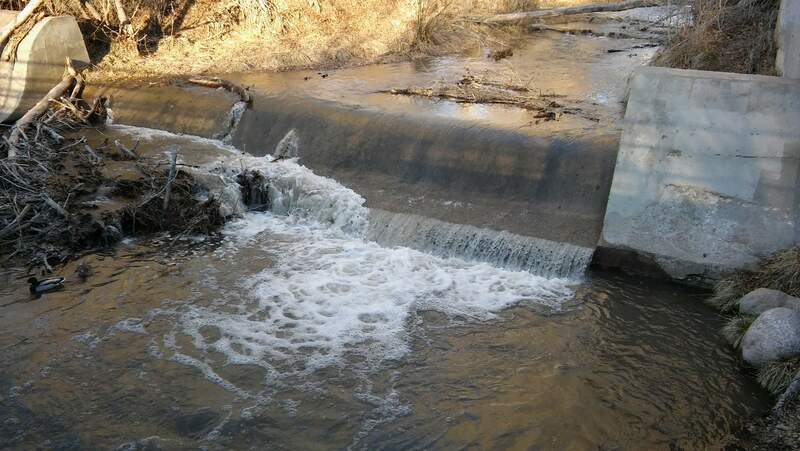 Is there an upstream user diverting the flow of Junction Creek and causing it to dry up? The answer is yes and no, according to the person who really didn’t want to be quoted by name. Being resourceful, we’ll call them our resource source. Yes, Junction Creek is being diverted. But no, it’s not causing the creek to vanish. Above the Colorado Trail trailhead in the national forest, there’s the Sites Ditch. Every spring, the headgate is opened so the ditch can bring water from the upper part of Junction Creek to refill Turtle Lake a couple miles downstream and to the east. Turtle Lake is a private lake, just to let you know. There’s no public access in case you were looking for, say, a refuge. Be that as it may, the Sites Ditch’s diversion is minimal to Junction Creek, our resource source said. So why was Junction Creek dry for the better part of March? The answer, according to our resource source, can be found beneath the surface. So now it’s time for an underground investigation, complete with anonymous sources! Could this be “water-gate” because it involves water and a headgate? That notion is all wet. Combine that with last year’s bone-crushing drought, and the Junction Creek drainage went totally dry. It’s like priming the pump. That’s a logical hydrological explanation. As for other users siphoning away water, a quick call to a Junction Creek water-rights holder confirmed that there were no major diversions besides Sites Ditch. The water-rights holder also noted that Junction Creek’s most senior water-rights holders would not ask for their shares at this time of year. “That would be later in summer, when there’s the need to irrigate,” the water-rights holder said. With Junction Creek, as with most things in life, you just gotta go with the flow. E-mail questions to actionline@durangoherald.com or mail them to Action Line, The Durango Herald, 1275 Main Ave., Durango, CO 80301. You can request anonymity if you remember to set your clock back one hour because it’s April 1.